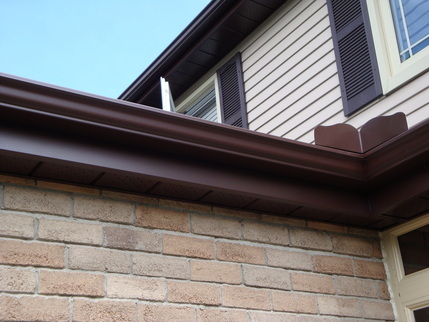 We use 5' Seamless Troughs hung with internal brackets that are screwed into the fascia boards. The downspouts are oversized. There is a wide variety of colors to choose from.